What does this mean in a world filled with divisions? Whether the division between a Republican and a Democrat, or an Oregon Delegate and an Oklahoma one? Or the delineating boundaries of race, gender and belief that can lead to divisiveness, disunion and aggression. These separations that keep a collective governing body from acting in the best interest of the collective. Susan Reynolds joins the American Promise conversation as a veteran English and social studies teachers, certified Vinyasa Flow Yoga and Meditation instructor and founder of ABC Legacy: Atoms to Bits Children’s Legacy. What happened when we moved from an analog to a digital society. When we went from Atoms to Bits? The promises and perils were predicted, and they’ve have become our children’s legacy. The promises included a global interconnectivity, a oneness where we could teach our children to care. Teach them about cultures around the world, thus creating a compassionate generation inspired to serve with the Internet as one of the vehicles. There have been perils. The dangers of digital addiction, dopamine dependence and numbing when bored, all lead to an uninspired life. A life without spirit at its best, and a mental health crisis at its worst. But technology is here to stay. So how do we find a healthy balance? Less Tech. More Spirit? Yes! But what about Tech with Spirit. When we Power Down for Presence. Passion and Purpose and then use our technology in service to making the world a better place? A new paradigm of creative authenticity. An inspired life committed to the whole… to unity and ubuntu… can occur. At age 25, during a pinnacle moment in her educational career, she made a choice between teaching in the Boston Public Schools or staying at a private all boys school in Concord, MA. When her father suggested she stay and “Light candles in the minds of future leaders of the world,” she told the Fenn School she would stay as long as all the curriculum she taught had a social justice thread. Her goal was to bring role models into the curriculum that would inspire her students to become change agents themselves. In 1989-1990, the year of Tiananmen Square, the collapse of communism and the freeing of Nelson Mandela, Susan created the ultimate curriculum for democracy using current events and real time role models. How does Ubuntu and Tat Tvam Asi relate to America’s Promise and the 28th Amendment? A government created for the people, by the people, inspires an equality among its constituents regardless of religion, race, gender and financial backing. When Nobel Peace Laureate Leymah Gbowee spoke about “The Open Mind Challenge” in her commencement speech at Dartmouth College in June, 2016, she called the graduates to task to break down the invisible walls of hatred, racism, sexism, and homophobia, among other ills in our world today. In thinking how to carry out her call to task, Ubuntu and Tat Tvam Asi immediately came to mind, and I created The Open Mind Challenge group on Facebook. How do we take these notions to reaching consensus and commonality in a democratic process? 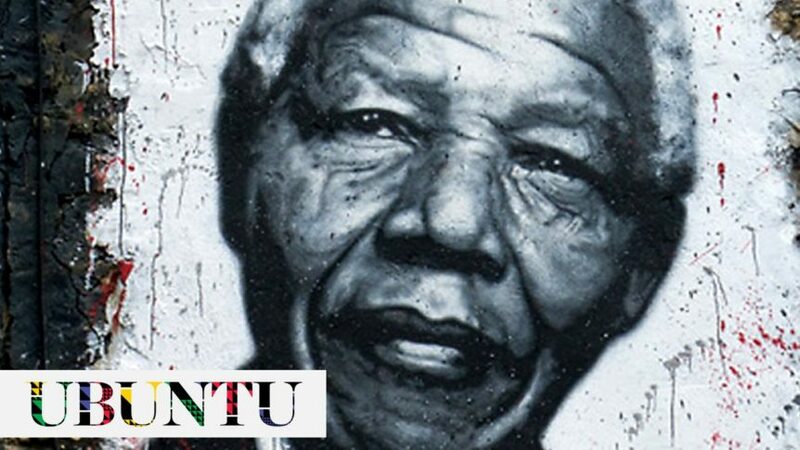 One way is to look at South Africa, not only the ways that they overcame Apartheid to create a democratic nation with its own constitution of many disparate constituencies but the role President Obama actually quoted Ubuntu when he commemorated Nelson Mandela’s life, and went on to speak about the power of South Africa as a role model.